Lil Yachty has become somewhat of a meme since his explosion onto the trap scene with his Lil Boat mixtape. 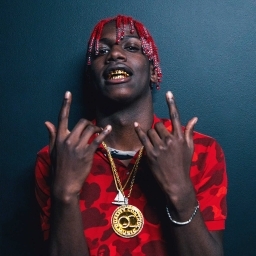 From comical bars such as “she blow that d*ck like a cello” to two features on a few Bhad Bhabie songs, Yachty has become somewhat of a goofy and inconsistent rapper since his come up. All of this leads us to Nuthin 2 Prove, Yachty’s third album in two years, following the abysmal Teenage Emotions and the decent Lil Boat 2. This may not be an incredible Yachty album, but I’d be crazy to say it isn’t his best album so far. The intro track “Gimmie My Respect” is a classic trap song, different from Yachty’s usual lighthearted goofiness but a strong opener nonetheless. “Get Dripped” with rapper Playboi Carti was strange. Carti takes on his “my shtummy hurt” persona through the whole song and it’s a little left field. “Riley from the Boondocks” and “I’m the Mac” sound awful. They are very sleepy, boring, and unmemorable verses that don’t do anything for the album. The lead single “Who Want The Smoke” is pretty uneventful and doesn’t really stand out. Yachty, Cardi B and Offset sound average at best on the track. Yachty may not be at the forefront of the trap game, as he can barely hold his own without a feature. However, there are nevertheless some great songs and he still has some potential that we have yet to see. Yachty may still have a lot 2 Prove.